Black Glasses, Dread Plate, Muscle Band, and Choice Band boost the power of Fling. Expert Belt boosts the power of Fling if the attack is super effective. 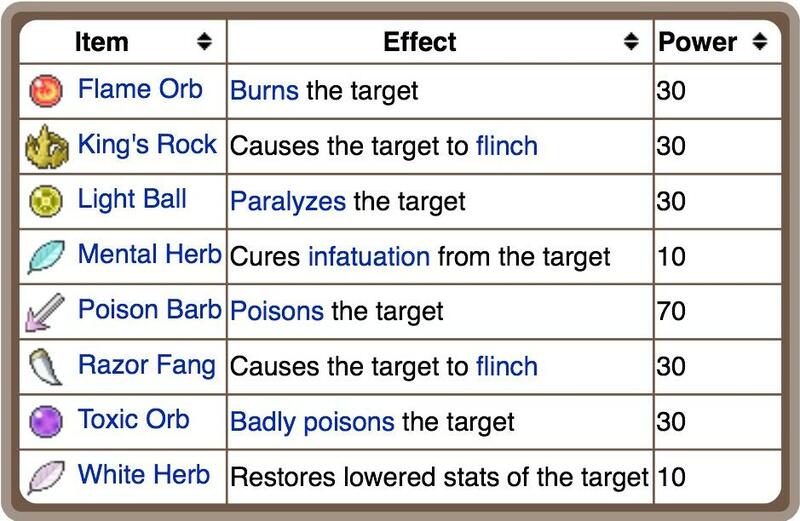 Life Orb boosts the power of Fling but does not reduce the user's HP. If the user hits its opponent with a Berry, the effect of the Berry will be activated. Does Fling give the opponent the item you flung at them? Can you Fling items from a Klutz Golurk?